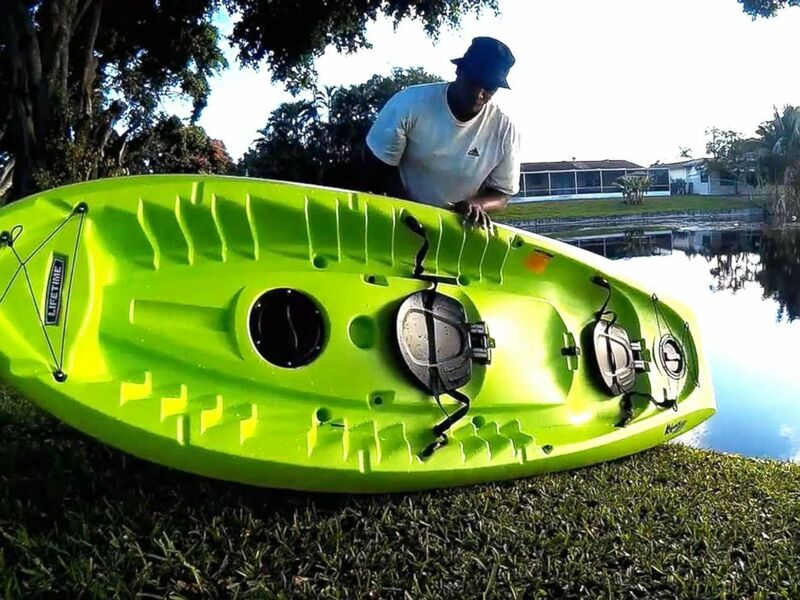 Lifetime Products announced its &ldquo;latest and greatest&rdquo; product: kayaks The company exports its products to 100 countries and has around 2,200 workers in the US. The idea started with founder Barry Mower in his garage in the 1970s, as he sought to create a high-quality basketball hoop for the masses. By 1986, Mower had succeeded in making that basketball hoop -- and then a company called Lifetime Products was born. Now it makes more than just hoops, including what president and CEO Richard Hendrickson called the company's "latest and greatest" product: kayaks. Hendrickson said the company has "fought so hard to keep manufacturing here in the U.S." and is currently working on even moving some manufacturing that had been done overseas back to the U.S.
Richard Hendrickson, president and CEO, said the company had fought hard to keep manufacturing of its products in the U.S.
"For example, we slit our own steel and actually make our own tubing before we make the basketball hoop. We make our own molds before we blow mold the kayaks. At times, we make our own machinery that run the blow molds," he said. "We are really leading the charge in trying to make sure that the definition of made in the USA is something that's consistent throughout all states so that all manufacturers like us can abide by those principals and be able to advertise made in the USA." Lifetime Products exports its products to 100 countries and has around 2,200 workers in the U.S. With help from retail giant Walmart, which in 2013 committed to buying an additional $250 billion in products that support U.S. jobs in 10 years, the company has continued to grow. "You walk into a Walmart, and you see made in the USA -- it doesn't matter what you're buying -- the fact that it might be made by somebody around you, that makes a difference," Hendrickson said. "I think people like that feeling." Lifetime Products is also building a new factory in Tennessee. In the last four years, it has added 500 jobs in Utah and plans to add an additional 500 jobs in Tennessee once the new site is up and running. "There is no question our working together with Walmart to accomplish this has been just a great opportunity as a company," he said. "They've been supportive. They've helped us break through some of the barriers and given us the confidence necessary to make that big investment and continue expanding." 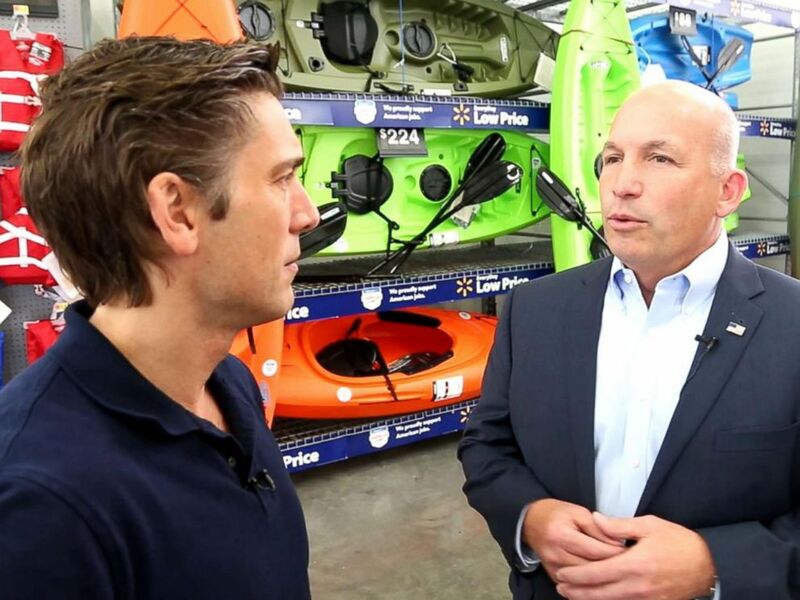 Lifetime Products Co.'s newest venture is kayaks. The company makes basketball hoops and other products in the U.S.